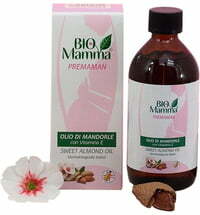 The oil of sweet almonds is a light yellow, thin-bodied, mild-tasting, non-drying, fatty oil. It is obtained by cold pressing and degumming the oil from the kernels of sweet almonds. 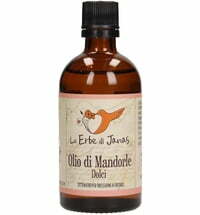 On account of its composition, it is valuable for use with other oils. The high content of unsaturated fatty acids is high, and it also contains linoleic acid. 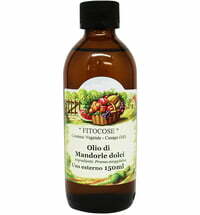 Linoleic acid influences the elasticity of the skin. 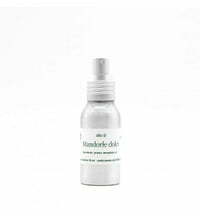 It makes skin more resistant to infections and protects against the effect of light damage. The palmitic acid occurring in almond oil easily penetrates the skin, leaving it soft and smooth. The stearic acid supports this effect with its film-forming effect and also provides vitamin E. Vitamin E leaves skin firmer and smoother. Skin that is sufficiently supplied with vitamin E, saves moisture better and appears firmer and plumper. Dryness and the risk of cracks are prevented. Known as a "radical receiver", vitamin E wards off harmful environmental influences and protects the skin against light-induced damage.